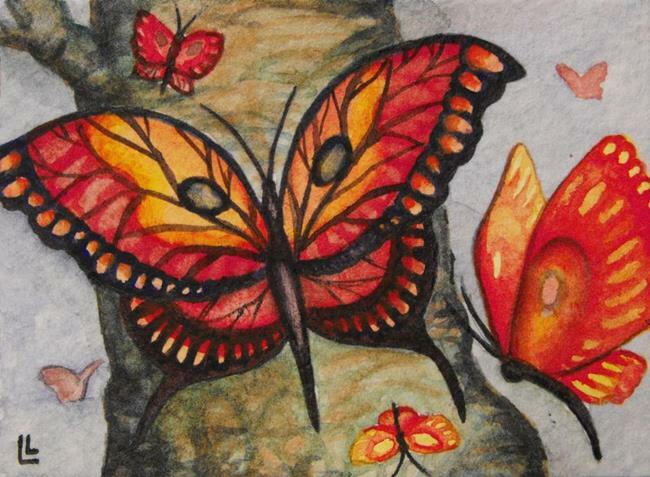 A collection of butterflies swirl about a single tree. Spring is in the air! This could have gone into the Butterflies and Moths exhibit, but... Better Late than Never!